On 9 April, at the ‘Arctic: Territory of Dialogue’ 5th International Arctic Forum, the first meeting of the ‘Friends of the Arctic’ International Expert Community was held; the event was attended by Russian and international participants. The launch of the community was attended by both young and renowned experts from several countries, among them the USA, China, Finland, Switzerland, India, and Malaysia, together with Russian experts, including representatives of the Arctic research school of the St. Petersburg State University. The Innovation Space hosted a discussion on best cases of international youth cooperation; the participants drafted a plan for further development and implementation of economic and social projects that will lay the groundwork for the development of the Arctic region. Such projects refer to initiatives for sustainable development and ecology, improvement of quality of life for indigenous peoples of the Far North, as well as promotion of tourism in the Arctic. The International Union for Conservation of Nature expressed its interest in the work of the community; other organizations that carry out research and practical work in this sphere are also expected to get involved. This is not the first specialized international expert community established by the Roscongress Forundation. 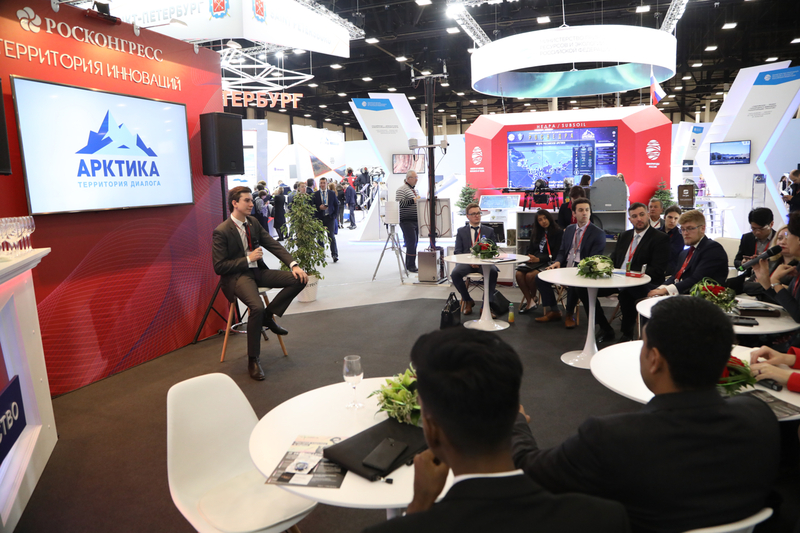 This format was launched at the Russian Investment Forum in Sochi as the ‘Friends of Cities’ international community for development of sustainable cities. Later, a field session of the project took place in New Delhi (India). Development of these communities is coordinated by Assistant to the Roscongress Foundation Youth Policy Director Roman Chukov. As part of brainstorming, participants discussed ideas for launching online educational platforms for research exchange and discussions on the Arctic for students and scientists from the countries represented in the Arctic Council. One of the ideas was to organize a model of the Arctic Council and the Northern Forum for school children and students. form the basis of the business programme: ‘Coastal Regions’, ‘The Open Ocean’, and ‘Sustainable Development’. international conventions, exhibitions, and public events. partners from 75 countries worldwide.